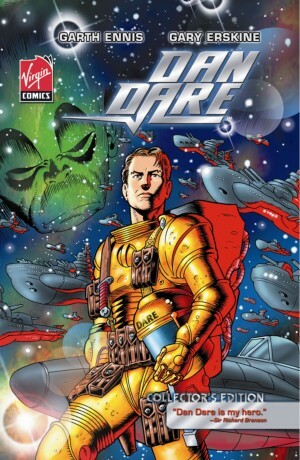 There’s a question at the heart of any Dan Dare material since his original 1950s/1960s run. Does his wholesome and fair-minded vision of the future have any relevance to an era not characterised by the gratitude for world peace as it was when Dan Dare was introduced? The best revivals since the 1960s all address this, and Peter Milligan does so more explicitly, in story as well as the wider sense, while slightly echoing real world events. 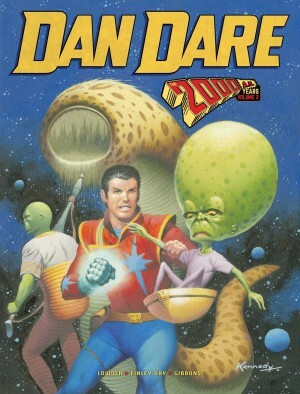 Alien despot the Mekon has rigged an election, this has been revealed, and in the face of opposition who’d prefer he was executed, Dan has opted to have him rehabilitated. 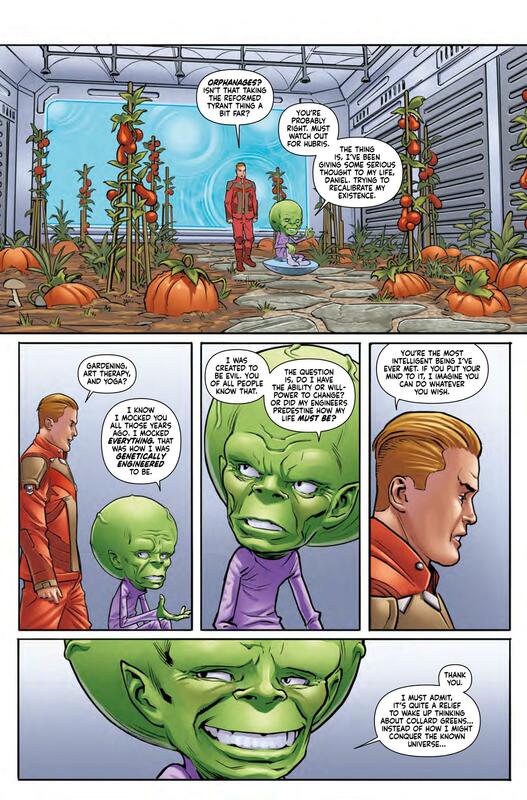 Over pretty well every Dan Dare story since day one, the Mekon has been an implacable foe, so if rehabilitation works, how does Dan occupy his time? Milligan’s solution to that is an inspirationally obvious piece of plotting. The Mekon has only ever been a single representative of the Treen race, and there are others, and the subtext to the entire plot is whether or not the Mekon can truly be reformed. It’s strung out very well, contrasting the Mekon with another alien, one who hates all Treens and lives for vengeance. 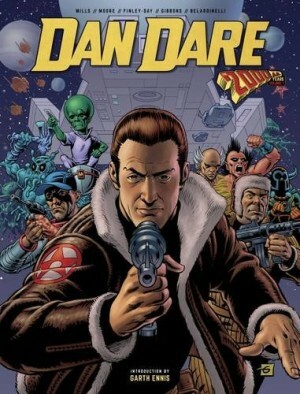 Another myth busting element about this Dan Dare is that it really takes a British artist to illustrate the quintessential British hero. Spanish artist Alberto Foche keeps Dan and his companions relatively close to their traditional look while creating a viable future built on the architecturally adventurous London of the 21st century. 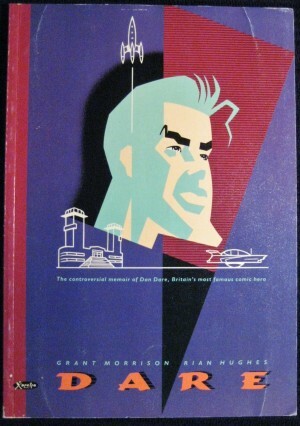 His spaceships and assorted futuristic facilities look more generic, but are well drawn, and his staging is convincing. 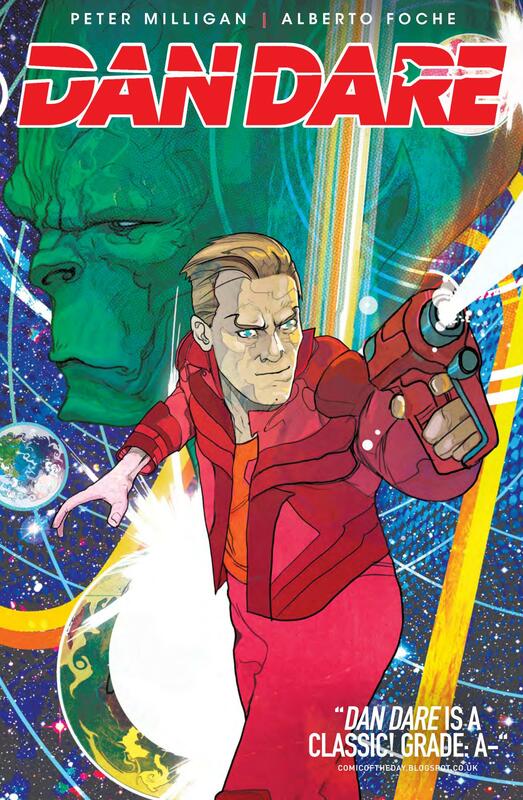 This is intended as the first of an ongoing series, so by the end of the book Milligan has set up several questions, and definitively proved that Dan Dare can still be relevant. He’s remained to true to both his own character and the more innocent times that produced him, yet slip that character into a plot that depends on him being consistent and you have thrilling space fantasy. It’s a page-turner.